When it comes to investment opportunities, most people immediately think of the stock market. That's understandable, really; trading in shares has a definite aura of excitement about it. It's hard not to be fascinated by the hustle and bustle of the stock exchange, where fortunes can be made and lost in the wink of an eye. But for the novice investor, the stock market can be a dangerous place, and most financial advisers recommend starting with more conservative investment products. Bonds are an ideal alternative to the stock market, and their relative safety and stability have made them one of the most popular investment products on the market. Indeed, even experienced speculators understand the value of investing in bonds, and their rightful place in a diversified portfolio. Of course, before you begin investing in bonds it's important to understand a bit more about them and how they work. After all, you can't be successful if you don't know how the game is played. So, for the beginning investor we've put together an introductory guide to bonds. We'll discuss the various types of bonds, their cost to yield potential, and their place in a structured portfolio. At their most basic, bonds are really a type of loan. When organizations need to raise large amounts of capital, they will often borrow from the public at large. In modern terms, it might be compared to crowd-funding. For example, if a government or corporation needs to raise funds to expand services or operations they will issue bonds onto the public market. When you buy one or more of these bonds, you are essentially loaning the organization a portion of the capital they are trying to raise; in return for which, you (the bond holder) will be paid a set amount of annual interest over the term of that loan. Finally, when the bond reaches maturity, the organization repays you the original amount borrowed, or the face value of the bond. Bonds are considered fixed income securities, because investors know exactly how much of a return they will receive on their investment. This makes them much more stable than stocks, which is why they are an ideal financial product for first time investors. Of course, the relative safety and stability of bonds also appeals to the experienced speculator, and they are an important part of any well structured portfolio. While it's true that bonds don't carry the higher earning potential of stocks, they do offer some distinct benefits of their own. Capital Preservation – Unlike stocks, which are subject to a highly fluctuating market, bonds are relatively stable. Barring bankruptcy, bond holders are all but guaranteed to see the return of their initial investment. The risk of capital losses with bonds are much lower than with stocks or other investment products. Cash Flow – Bonds pay interest at set intervals, usually annually or biannually. This provides a steady influx of cash over the life of the bond, which can be invested in other securities or used as retirement income. Tax Exemptions – Specific types of bonds can provide a tax advantage to investors. For example, when a government or local municipality issues bonds to subsidize public works, the interest earned by the bond holder is often tax exempt. Of course, rules governing taxes and bonds vary from state to state, and you should be guided by the advice of your broker. Now that you have a better idea of what bonds are, and the benefits they offer as a financial product, it's time to talk about purchasing them and making them a part of your investment portfolio. However, before we can do that, we need to review a few common terms. Having a working familiarity with these concepts will help you determine the value of a bond, and whether or not it belongs in your portfolio. Issuer – The organization that sells the bond is called the issuer. The identity of the issuer is one of the most important considerations when purchasing a bond, as it has a direct influence on the security of your investment. For example, bonds issued by federal and local governments are more secure than those issued by corporations because they are less likely to go bankrupt and default on their loans. Government bonds may have lower yields, but they are also lower risk investments. Corporations, on the other hand, are always in danger of falling profits and negative cash flow. As such, bonds issued by private enterprises are considered riskier investments, and will offer a higher yield. This is the very essence of the risk-return trade-off, and it is perhaps the single most important consideration when purchasing bonds. Par Value – Also known as face value, this is the amount of money you will be paid when your bond reaches maturity. Most corporate bonds have a par value of $1000, while government bonds can often be significantly larger. It is important to understand here that par value does not necessarily equal price. A bond's price will fluctuate over time, and can be sold above, or below, its face value. When a bond sells for more than its face value, it is said to be trading at a premium. Conversely, when selling below the par value the bond is said to be trading at a discount. The Coupon – This is simply the interest rate on the bond. It is called a ‘coupon', because originally there would be a paper coupon attached to the bond that the owner would tear off and redeem for their interest payments. Of course, these days most interest payments are tracked, and paid, electronically. Still, the term persists. The coupon is expressed as a percentage of the bond's face value. So, a 10% coupon on a $10,000 bond would pay an annual interest of $1000. Again, these payments are often staggered throughout the year, so a bond holder's interest might be paid in biannual or quarterly installments. Fixed Rate Bonds – A fixed rate bond has a coupon that represents a fixed percentage of its par value. Floating Rate Bonds – With a floating rate security, interest rates are tied to the market index, and will fluctuate throughout the life of the investment. Maturity – This is the date on which the bond holder's principal investment will be returned, and it plays a large role in the value of the investment. For example, a bond that matures in one year is considered a low risk investment, and as such will carry a smaller coupon or lower interest rate. A bond that matures in 20 years is less predictable, and therefore considered a greater risk, so will come with a higher interest rate. In addition to these basic terms, it will also be useful to have a working understanding of the bond rating system. This applies to bonds issued by corporations and other for profit organizations, and the ratings are based on the company's perceived credit risk. For example, a so-called Blue-Chip firm would be considered a safer investment, and would be given a higher rating. Companies seen as a higher risk, due to either past or projected performance, would be given a lower rating. In the United States, the bond rating system is controlled by three agencies – Moody's, Fitch, and Standard and Poor's. The table below should give you a better idea of how bonds, and the companies that issue them, are rated in the U.S.
As you can see, the higher the rating for the company and its bonds, the lower the risk. When a firm's rating slips below a certain point, their bonds are no longer considered investment quality, and become classified as junk bonds. In order to attract investors, these high risk firms must compensate by offering a significantly greater yield on their bonds. It's worth pointing out here, that while investing in bonds is generally safer than trading in stocks, it is not without its perils. Investing in high risk bonds can be just as risky as investing as stocks, if not more so. Bonds may be issued by federal and local governments, as well as larger corporations. Fundamentally, they all follow the same investment model. That beings said, there are some subtle differences, and it's worth taking the time to review the various options to get a better idea of what's available to the ambitious investor. Bills – A security that matures in less than one year. Notes – A security that matures in one to ten years. Bonds – A security that takes more than ten years to reach maturity. Strictly speaking, bills are not bonds. However, they are typically traded as bonds and are managed in much the same way. While their maturation period is shorter than a true bond, they can still offer significant returns on your investment, and can form a solid part of a well structured portfolio. It is worth recognizing the differences between the three basic categories of fixed income securities, as it will help to inform your choice of investment opportunities should you decide to take the plunge. The U.S. government offers three different fixed income securities, each with a different price point and maturity profile. As a general rule, securities marketed by the federal government are considered extremely safe, though their yield may not match that of bonds offered by the private sector. Treasury Bills – Sometimes called T-Bills, these securities mature in less than one year, typically at a rate of 1 month, 3 months, or 6 months. They are sold in $1000 denominations, up to a maximum of $5 million. Unlike traditional bonds, T-bills do not pay fixed interest payments. Instead, they are sold at auction for a considerable discount off of their face value, and the natural appreciation delivers the return on the investment. So, for example, if you buy a six month T-bill for $9800, when the bill reaches maturity you will be paid $10,000 by the U.S. government. The interest rate is 2.04% over the six month period, culminating in a profit of $200. 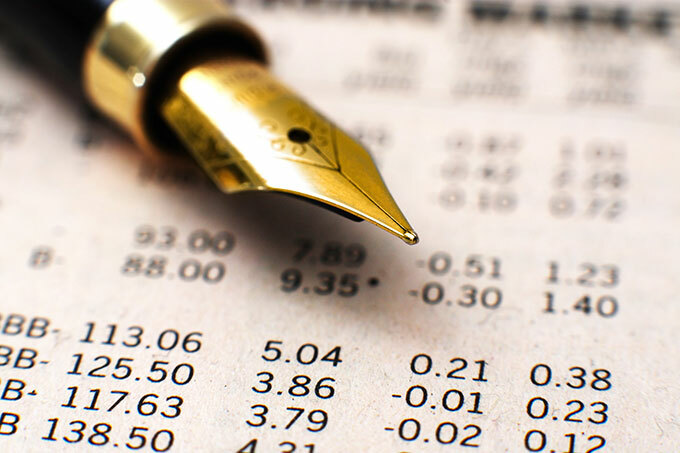 Treasury Notes – Treasury notes are fixed income securities with a maturity of 1 to 10 years. They can be purchased directly from the government, or through a bank or brokerage firm. As with T-bills, treasury notes are sold at auction and buyers have the option of placing either a competitive or non-competitive bid. With a competitive bid, the buyer specifies the yield they want, and the bid can be accepted or denied. With a non-competitive bid, the buyer agrees to accept the yield as determined at auction. Treasury notes pay interest every six months until they reach maturity. The interest is not taxable on the state level, but is taxed by the federal government. Treasury Bonds – T-Bonds are similar to treasury notes, though their maturity is always more than ten years. They are sold in denominations of $1000, with a maximum purchase allowance of $5 million. Treasury bonds are initially sold at auction, in the same manner as treasury notes. Treasury bonds pay interest on a semi-annual basis, and the income is taxable on the federal level. While treasury notes and bonds are initially sold at auction, once they are purchased they can be resold on the open market. This adds greatly to their liquidity, making them particularly attractive investment opportunities. Municipal bonds are sold by state and local city governments to raise money for public works. Technically, they are considered a higher risk purchase than a federal security because, while cities rarely declare bankruptcy it can happen. The major attraction of municipal bonds is that the interest earned is often free of both state and federal taxes. However, the tax free nature of most municipal securities renders the yield substantially lower than what could be found on a taxable bond. Still, depending on your personal situation, and the amount of money you have to invest, municipal bonds can a be wise purchase. Corporate issued bonds are considered a higher risk commodity than either of the popular government backed securities. That's because companies are more likely to default on their debts than the federal government or state and local municipalities. Consequently, the potential yield on corporate bonds is generally greater than what you would receive from a treasury note or T-bond. Interest rates on private sector securities are determined by the credit quality of the issuing organization. So, a bond issued by a company with a strong credit rating would carry a lower interest rate than one issued by a firm with a less impressive credit score. The higher yield associated with corporate bonds makes them particularly rewarding as fixed income investments, and the returns for the investor can be substantial. That being said, investing in corporate securities is not without it's risks, and they do not offer the stability of government bonds. 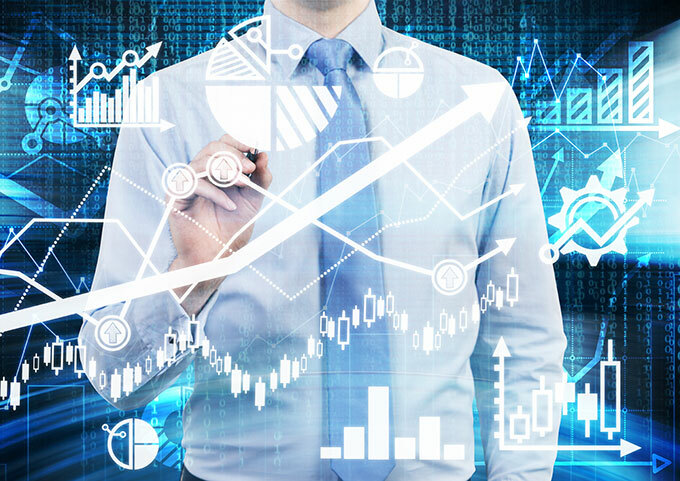 Like government bonds, corporate fixed income securities are categorized by their maturation dates, and the term of the bond will have a direct impact on its potential yield. Short Term Bonds – These are typically low yield investments that reach maturity in under 5 years. Intermediate Bonds – These reach maturity in 5 to 12 years, and offer a slightly higher return on the buyer's investment. Long Term Bonds – With a maturity of more than 12 years, long term corporate bonds offer the highest yield for investors. There are also two main variations to be aware of when investing in corporate backed securities, and they can have a direct impact on the term of the bond and the potential return on investment. Callable Bonds – A callable bond can be terminated by the issuer at any time prior to its maturity. For example, if you hold a $1000 bond with a 10% coupon the issuer must pay you $100 in annual interest or risk default. However, if the bond you have purchased is ‘callable', the company can demand that it be returned in exchange for a predetermined pay out. After which, the bond will be retired and will cease to exist. You will still receive a return on your initial investment, but it may be less than you had anticipated. Convertible Bonds – A convertible bond is just like any other fixed income security, with a par value, coupon, and set expiration date. However, a convertible bond has an additional clause in the contract that allows the investor to exchange it for shares in the issuing company at any time prior to its expiration date. So, if you hold a convertible bond with a par value of $1000, and it is exchangeable for 50 shares in the company, you might consider converting it into stock when prices rise above $20 per share. Convertible bonds do offer an added opportunity to increase the return on your investment, but changing your investment from a security to a stock comes with substantially more risk. This is simply any type of bond, government or corporate, that makes no interest payments over its term. Instead, it is sold at a considerable discount to its par value. For example, a $1000 bond might be traded on the open market at a cost of $600, to be paid in full after 10 years. 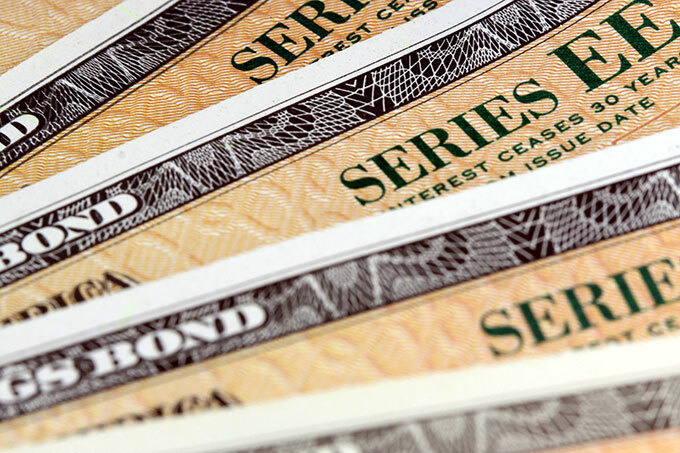 Quite often, standard issue bonds will be stripped of their coupons and sold on the public market as zero coupon bonds. The seller receives the interest payments, while the secondary buyer receives the final pay out. Let's say you buy a 10 year $1000 bond with a 5% coupon. You hold that bond for the next few years collecting your $50 of annual interest. During that time, interest rates fall, and a comparable 10 year $1000 bond now carries a 4% coupon. Your original bond is now a much more valuable commodity, and it can be sold at a premium on the open market. Other investors will pay good money for a bond with a better coupon. This gives you the opportunity to make some quick cash, though you may ultimately incur a loss on the long term yield of your investment. However, if interest rates have risen since your original investment, a comparable 10 year $1000 bond would now be paying a higher interest rate. That old 5% coupon is no longer as competitive, or as valuable, as it once was. Now, this does not necessarily mean you are facing a loss. Your original bond will continue to pay you $50 a year in interest, and when it matures you will be paid the full face value of the security. You aren't increasing your return, but there's no real diminishing of your investment either. But there is still a way to make money in this scenario. If you purchased the original bond at a substantial discount, for considerably less than its par value, selling it now can increase the yield on your original investment. The price to yield equation can make investing in bonds confusing for beginners, and it can be a difficult learning curve to say the least. As a general rule of thumb, it is always recommended that investors in individual bonds have a diverse portfolio that includes a healthy mix of short term, intermediate, and long term investments. Because long term securities are so sensitive to changes in interest rates, a selection of short term and intermediate bonds can help act as a buffer against potential losses. For first time investors, and sometimes even more experienced speculators, it often makes better financial sense to invest in a bond fund as opposed to individual securities. Before you begin buying any bonds, you need to consider your overall objective. If it is to achieve long term capital gains, then your portfolio should be weighted towards intermediate and long term maturities. While these are most affected by changes in interest rates, they have the potential to deliver the highest return on your investment. Long term securities, particularly zero coupon bonds, can pay predictable dividends if you are willing to ride out the changes in the market, and hold on to your investments until they reach absolute maturity. If you know how to manage your portfolio, or hire a money manager to handle your investments, you can maximize your gains by selling portions of your holdings when interest rates are low. Of course, this strategy is much closer to playing the stock market, and negates some of the safety and stability of investing in the bond market. If your ultimate objective is to realize a steady stream of income, which can be reinvested or used as a retirement supplement, than it is best to stick to shorter term securities. Bonds with a maturity of 1 to 10 years offer greater stability than longer term investments, and the returns are easier to predict and manage. Spread your money around, and invest in a variety of different fixed income securities, either by purchasing individual bonds or by investing in a mutual or bond fund. For a safer, and more stable, income stream, create a bond ladder that provides intermittent pay outs which can be reinvested to produce increasingly larger yields over time. We'll talk more about laddered portfolios below. Direct from the Federal Government – United States' bonds are sold directly from the federal government at regularly scheduled auctions. You can also purchase, T-bills, treasury notes, and T-bonds through a bank or brokerage firm, but you will be paying additional fees for their services. 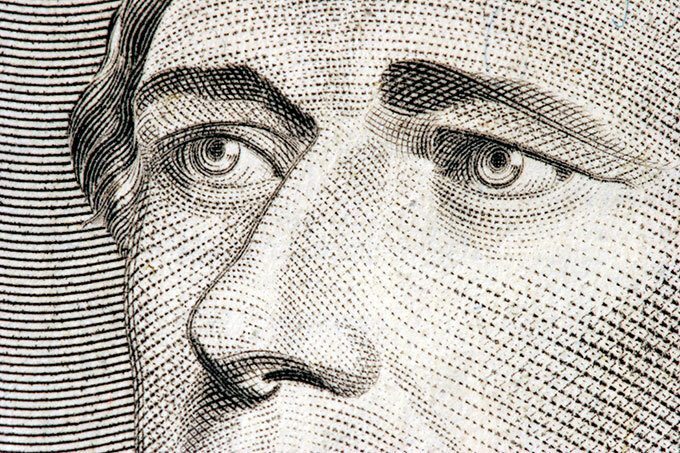 The cheapest, and most effective, way to buy government securities is directly from the U.S. Treasury itself. Investment Banks and Brokers – Corporate bonds are typically issued through an investment bank, rather than directly to the public. The underwriting bank generally waives the sales commission, so it makes more sense to buy newly issued individual bonds here, as you are effectively getting them at wholesale prices. Bonds traded on the secondary market, whether government, municipal, or corporate, are sold through brokerage houses. Keep in mind that when you purchase securities from a broker you will be paying commission and transaction fees. These are set by the broker, and most do not disclose the full spread of their markups. Buying individual bonds requires a substantial financial investment. To achieve a fully diversified portfolio you should expect to invest a minimum of $30,000 to $50,000. Mutual Funds – Mutual funds, or bond funds, are targeted to the smaller investor. If you can not afford to buy a large number of bonds, and simply hold them to maturity, a mutual fund is your best option. As a participant in a mutual fund you will own a stake in a wider variety of bonds than you might otherwise be able to afford, and you will have the benefit of professional oversight to protect your investments. Dividends are paid on a monthly basis, as opposed to the annual or semi-annual coupons on individual bonds, and funds can be reinvested to a set schedule. There are some drawbacks to participating in bond funds, chiefly that they don't have a fixed maturity. This means that your principal investment and your income from interest can not be guaranteed. Also, because fund managers are constantly buying and selling securities to maximize profits your interest payments will vary. Despite these drawbacks, mutual funds are the better option for both conservative speculators and those with limited funds to invest. If you do decide to invest in individual bonds, you need to find a way to both protect your principal and maximize your returns. A bond ladder can help investors earn a steady stream of income from their security holdings, while increasing the potential for greater returns should interest rates rise in the future. While that may sound complicated, in practice it is much easier than it seems. Reducing Risk – By staggering maturity dates, you can avoid getting locked into a single interest rate. For example, let's say you have a bond ladder consisting of six rungs. On the lowest rung is a 10 year bond with a low interest rate that is due to mature this year. Interest rates have risen since you first bought the bond, and new securities are delivering a higher yield on the investment. When your bottom rung bond reaches maturity, you can invest the principal in a new bond at the higher rate, extending your ladder and maximizing your profits. Managing Cash Flow – Since most bonds pay interest twice a year, you can structure your ladder to ensure a steady stream of income. Again, returning to our example, if you have a six rung ladder consisting of $10,000 bonds maturing at 2 year intervals you will receive interest payments every month. The short term bonds at the bottom will pay nominal interest, while the long term bonds at the top will pay more substantial sums. This money can be used as additional income, or reinvested to extend your ladder even further increasing your potential returns. Building a laddered portfolio is relatively simple, if you have the necessary money to invest. The most important considerations are the number of rungs on the ladder, the spaces between them, and the materials used in the construction. Rungs – First, you must consider the total amount of money you want to invest, The goal here is to create a ladder with the necessary number of rungs (bonds) to generate a satisfactory amount of income every year, and to provide regular opportunities for reinvestment. Ideally, you want a minimum of six rungs. This will deliver a steady stream of monthly interest payments, and the staggered maturity rates will provide ample opportunity for reinvesting. Spacing – The space in between your rungs represents the time it takes for each bond to mature. This can be calculated in months or years, but above all the spacing needs to be roughly equal if you are to reap the full benefits of a laddered portfolio. For example, let's say you build a six rung ladder comprised of bonds maturing at two year intervals. Every two years the principal on a bond is returned to you, and it can be used to reinvest in a longer term security with a higher yield. This new rung takes it's place on the top of your ladder, and the process continues as you collect your annual interest payments and extend your overall profit potential. Materials – This is the trickiest part of building a bond ladder, and your portfolio will only be as strong as the bonds you choose to buy. Obviously, different bonds produce different returns, and you want to structure you ladder to take full advantage of what each investment has to offer. Government bonds are the safest and most stable, but they also produce the lowest yield. That makes them ideal for the low to middle rungs of your ladder. Corporate bonds produce greater returns, but they are more influenced by fluctuating interest rates, so they should be placed towards the top of the ladder. Of course, like any portfolio your bond ladder should consist of a diverse range of investments, and where they are placed on the ladder will largely depend on yield and maturity. One thing to beware of, however, is including callable bonds in a laddered portfolio. If a bond is called, it will undermine the stability of your portfolio, and undercut your ultimate earning potential. Building a laddered bond portfolio is a popular investment strategy, as it offers a degree of regular income as well as the potential to reinvest and extend profit potentials. However, building a bond ladder requires a fairly substantial financial investment. While it is possible to build a diverse portfolio with more limited funds, you should expect to invest at least $60,000 or more in any decently constructed bond ladder. You will also need the assistance of an experienced broker to set up and manage your portfolio, and that means paying commission and management fess over and above the costs of your investments. Bond ladders are not without their risk, and it takes some understanding of the market and attention to detail to reap their full benefits. While the advantages of a laddered portfolio are many, there are some definite disadvantages that investors should be aware of. Being Forced into Lower Rates – Bonds ladders produce results through reinvestment of maturing principles. However, there is no guarantee that interest rates will be higher when an individual bond reaches maturity. You may forced into buying a new bond with a lower yield. Loss of Potential Capital Gains – If interest rates drop, your holdings will be worth more on the open market. But in a bond ladder you are expected to hold on to your securities until they mature. This can deprive you of potential capital gains. Greater Risk from Default – With a bond ladder an individual investor might hold no more than 10 to 20 bonds at any given time. If there is a default on any one of them, it could entirely derail your portfolio. For many investors, both novice and experienced, managed mutual funds provide a greater opportunity for success than a laddered portfolio. They are generally safer than buying individual bonds, and the cost to invest is much more reasonable. For many financial advisers, the benefits of managed mutual funds far exceed those of buying individual bonds. If you are a beginner when it comes to bonds, consider the following benefits of investing your money in a mutual fund. Lower Costs – You will be sharing costs with other investors, including both the price of the bonds in your fund and the management of those assets. This makes investing in a mutual fund more affordable for the average investor. Professional Management – With a mutual fund, you have a professional team of money managers to oversee your investment decisions. Their expertise will help to guide and protect your investments. Diversification – Managed mutual funds offer the kind of diversification that can only be found in largest portfolios. This helps to ensure your investments are well protected, and provides for a greater return on your investment. Bond funds also have greater access to global markets than most individual investors, vastly improving the investment opportunities for their clients. Liquidity – Finally, mutual funds are a highly liquid investment. Should you need to redeem your holdings on short notice, you can usually sell them off and receive your funds with a few business days. Of course, you holding will be sold at the going market rate, and may result in a financial loss. However, in an emergency it is an options that individual bonds do not always provide. Whether you decide to invest in a mutual fund, or to buy individual bonds, it is important to be well informed. While investing in bonds is statistically much safer than the stock market, it too has some very definite risks. Before you earmark any of your savings for investments, consider all of the options and fully research all of the potential investment opportunities. The main area where laddered bond portfolios would be safer than a bond fund would be if there was a disorderly exit from the bond market. If other investors in a bond fund sold their stakes, the forced redemptions could in turn realize losses for people who didn't sell at the bottom of the market. This risk is substantial enough the Federal Reserve considered imposing exit fees on bond funds to discourage investors from selling funds into a weak market. Any investment product comes with some degree of risk. While bonds are generally safer than stocks, and considerably more stable, there is always the opportunity for loss. From time to time issuers do go into default, particularly when it comes to corporate entities with questionable credit ratings. That's why all investors, particularly those with little or no experience, need to rely on sound financial advice before speculating in any market. If you are uncomfortable locking up your capital for an extended period of time you may want to look into shorter duration CDs or flexible money market accounts. Fixed income investments can be a valuable source of income, and properly used can help you to grow your wealth, prepare for retirement, and even leave a healthy inheritance for your family. However, they are not for the faint of heart, and before you decide to dive into the world of investments you must first decide if you can afford to gamble with your hard earned money. Understanding your own toleration for risk will steer you toward your best options.